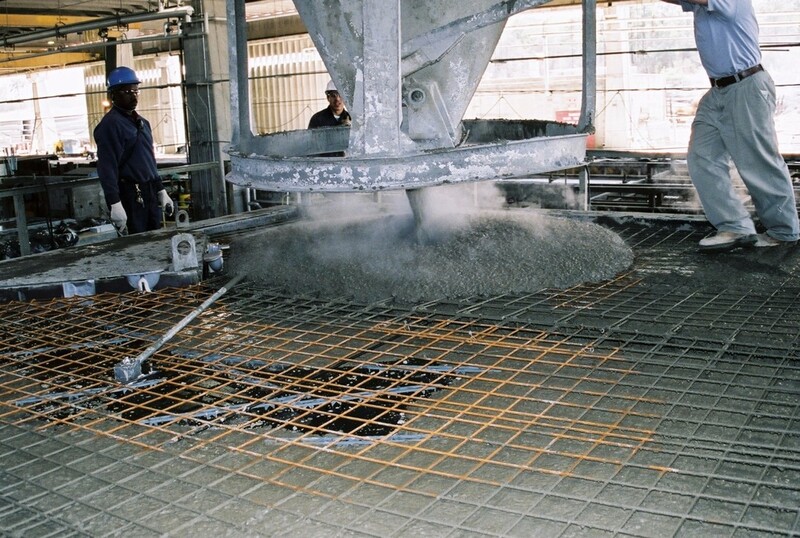 In the late 1980s, Japanese researchers developed SCC to address problems with concrete durability, particularly in thin, complex walls with dense rebar placements. Contractors collaborated with experts from academia to identify viscosity modifiers that improved concrete consolidation in such applications. SCC's history also included early adoption in Scandinavia, spurred by the ready availability of pozzolans and fine limestone powder. PC/PS elements with dense reinforcement, defined as spacing of less than 1.5-in. Highly reinforced PC/PS elements with spacing greater than 1.5-in. In precast production, compressive strengths in the 3,500-14,000 psi range allow use in everything from bridge beams and double tees to manholes and septic tanks. SCC improves precast productivity by enhancing automation, and it limits healthy and safety issues in the plant, including those associated with the use of vibration. Designers, developers and contractors increasingly embrace the benefits of SCC for a variety of reasons. Self-leveling, self-consolidating concrete reduces the labor required to place and finish it. It eliminates mechanical vibration and reduces screeding, Eliminating vibration in precast production settings reduces noise. In an urban setting, decreased noise may even allow for longer construction hours. The decreased need for consolidation can also enhance job site safety. SCC reduces capital and maintenance costs by reducing the overall need for vibration equipment and formwork. SCC's impressive flowability promotes successful consolidation around dense, concentrated reinforcement. For example, SCC makes it possible to successfully fill areas unreachable with internal poker vibrators. It allows for denser reinforcement, adding strength in the process. SCC's flowability reduces finishing requirements. You'll need less sack rubbing and remedial work. Architects enjoy increased freedom of design for a number of reasons, including increased options in formwork orientation. SCC can also be placed in intricate molds that would not work with conventional concrete. Given its uniformity and homogeneity, it is possible to use SCC to create smooth finishes and precise textures with relative ease. Higher slumps and excellent flowability promote easier pumping, including pumping to substantial heights. Quicker truck-to-pump discharge speeds construction. According to the NRMCA, SCC flowability is measured through a modified version of ASTM C 143. Slump flow typically ranges from 18 to 32 inches. At these slump flow levels, SCC will self-level and readily encapsulate dense formwork. As flowable as it is, SCC is still very cohesive. Bleeding is minimal, and segregation does not occur. Aggregates do not get caught behind obstructions in a way that would prevent proper consolidation. Fine edge detail is possible thanks in part to shrinkage as low as 0.032 percent. SCC also delivers chloride permeability levels to 630 coulombs. Flow requirements impact water content. High-performance SCC often has a w/c ratio of less than 0.40, although ratios can often be increased to achieve desired flows. It is possible to achieve high flow rates through the liberal use of fine inert powders such as limestone. Pozzolans like fly ash and ground granulated blast furnace (GGBF) slag are also incorporated into some SCC mixes. You'll also find superplasticizers and non-gap-graded, combined aggregates in varying SCC mixes. Here are two case studies of major projects where self-consolidating concrete was used. One is in Pennsylvania, the other in our nation's capital. 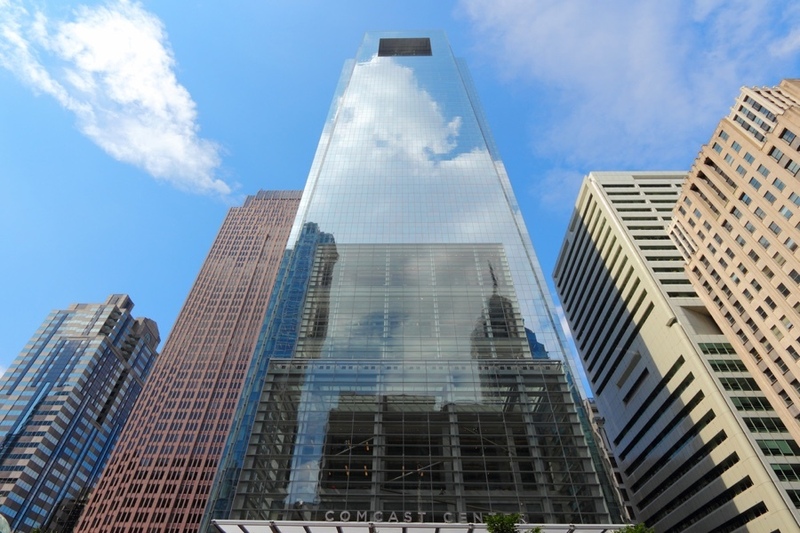 The 58-story, 974-foot Comcast Tower is the second tallest structure in Philadelphia. Construction of the LEED Gold-certified skyscraper began in 2005, and concrete placement concluded in late 2006. Three different SCC mixes were used - 6,000, 8,000 and 10,000 psi. The center-core construction ultimately consumed more than 40,000 cubic yards of SCC. During the final phase of construction, pumping heights exceeded 900 vertical feet. Field-cured cylinders measured compressive strengths of 8,560 psi at seven days and 12,720 psi at 28 days. At 56 days, flexural tensile strength was 1,560 psi. 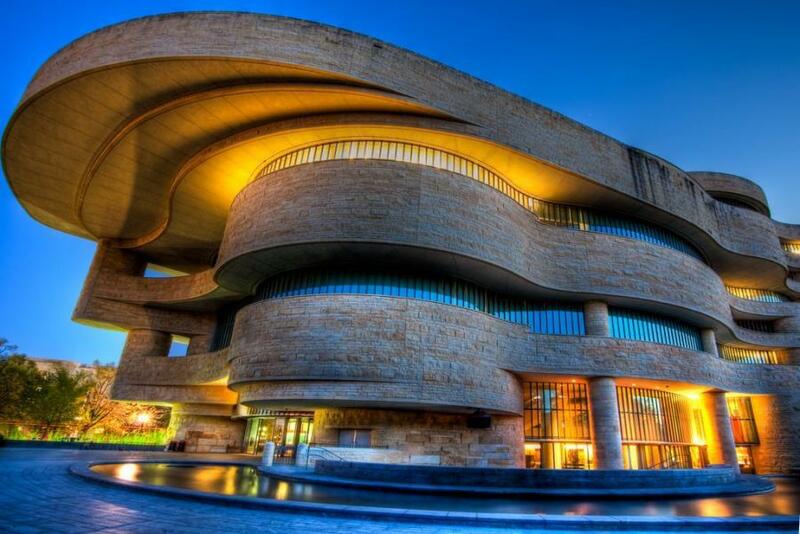 National Museum for the American Indian - Washington D.C. The National Museum of the American Indian was dedicated in 2004. Architects commissioned to design the Smithsonian museum wanted the structure to resemble rock sculpted over the eons by water and wind. The use of concrete vibrators would have been problematic because they could have blown out the custom-built formwork. Specifying SCC also cut the time to fabricate formwork from five to just two days. Ultimately, more than 3,000 cubic yards of SCC was used to create a non-repeating, exposed concrete exterior with no right angles. The Pennsylvania Aggregates and Concrete Association (PACA) embraces its mission to educate stakeholders about the new and expanding uses of concrete, including SCC. For additional information pertinent to your upcoming project, please contact us.